This is a topic that has been sitting in my draft box for almost a year – and I thought I should finish it up. Originally I was going to title this the “Top 10 Cathedrals You Should See Before You Stop Seeing Cathedrals” because that’s really what this list is – churches worth going to and checking out – but that title isn’t very good. The list could also have been 100 cathedrals long – I had a hard time stopping with the ones on this list. I suppose what I am trying to say is that this is not my list of the top ten cathedrals, rather it is the first ten cathedrals on this list. Another reason this post sat in the ‘draft’ section for so long is that I would rather write a single post on each of these cathedrals – except I haven’t been to all of these cathedrals before. That also means I had to go get other people’s photo’s (which I hate doing) to show you what these buildings looked like. I have seen a few of these in person and they are all magnificent … well worth the effort to see them before you stop making the effort to see things. Right, enough of that, let’s get started. Feel free to add a cathedral to the list in the comment section. I would be interested in hearing what cathedrals you would have put one here (if any). Oh – and for the record, there can only be one cathedral per city for all you La Sainte-Chapelle fans (but feel free to list churches, chapels and the lot as you wish). Work on the Nidaros Cathedral began in 1070 and was finished sometime around 1300. This is a good example of a Romanesque and Gothic style cathedral and the only one I could think of in Norway. 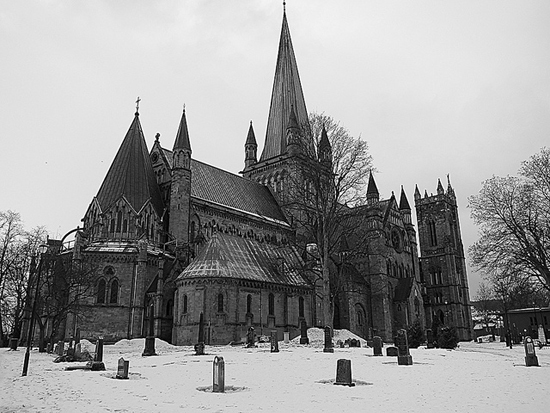 Nidaros Cathedral is the largest cathedral in Norway and is regarded both as a national shrine and a coronation church. Together with the Archbishop’s Palace, it is one of the largest tourist attractions in the country. Not really sure that’s a good thing but since I’m half Norwegian I can say stuff like that…. Sagrada Família is a large Roman Catholic church (not a cathedral but I am including it anyway) in Barcelona, Catalonia, Spain, and was designed by Catalan architect Antoni Gaudí (1852–1926). Although incomplete, the church is a UNESCO World Heritage Site, and in November 2010 was consecrated and proclaimed a minor basilica by Pope Benedict XVI. Though construction of Sagrada Família had commenced in 1882, Gaudí became involved in 1883, taking over the project and transforming the project with his architectural and engineering style—combining Gothic and curvilinear, Art Nouveau forms with ambitious structural columns and arches. Gaudí devoted his last years to the project and at the time of his death in 1926, less than a quarter of the project was complete. Sagrada Família’s construction progressed slowly as it relied on private donations and was interrupted by the Spanish Civil War—only to resume intermittent progress in the 1950s. 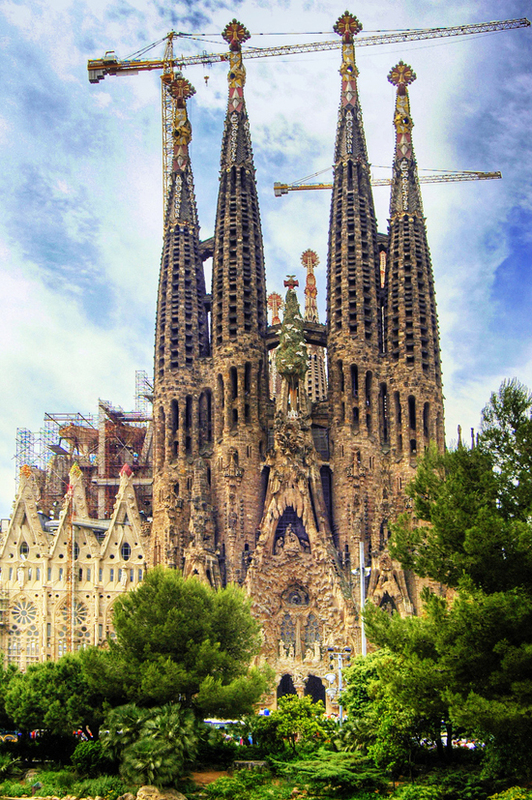 Construction passed the mid-point in 2010 with some of the project’s greatest challenges remaining and an anticipated completion date of 2026—the centennial of Gaudí’s death. 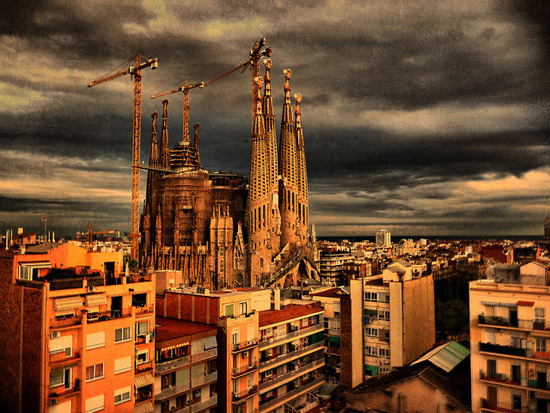 The completion of the spires will make Sagrada Família the tallest church building in the world as well as the church with the tallest spire in the world. Notre Dame de Paris is widely considered one of the finest examples of French Gothic architecture in France and in Europe, and the naturalism of its sculptures and stained glass are in contrast with earlier Romanesque architecture. 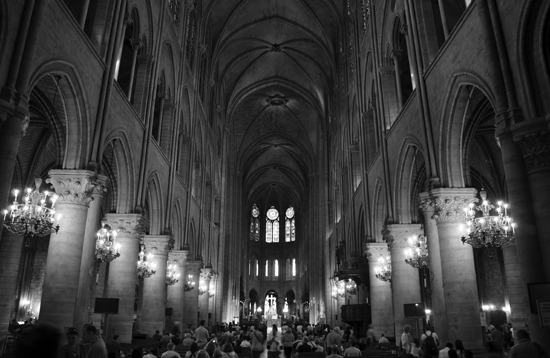 The first period of construction from 1163 into the 1240s coincided with the musical experiments of the Notre Dame school. 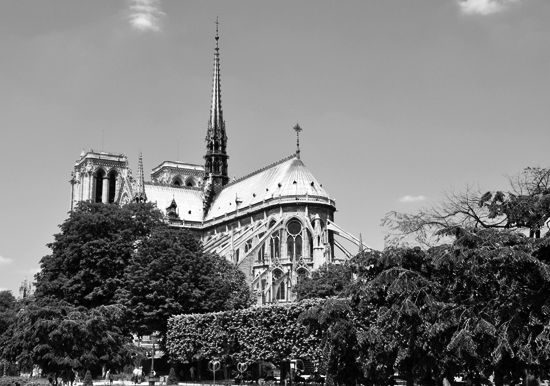 Notre Dame de Paris was among the first buildings in the world to use the flying buttress (arched exterior supports). The building was not originally designed to include the flying buttresses around the choir and nave, but after the construction began and the thinner walls (popularized in the Gothic style) grew ever higher, stress fractures began to occur as the walls pushed outward. In response, the cathedral’s architects built supports around the outside walls, and later additions continued the pattern. The cathedral was essentially complete by 1345. I took about a million pictures of this cathedral when I was there in the Summer of 2009, there are so many beautiful things to look at here. Even at 6 years old (then) my daughter enjoyed exploring around this cathedral. 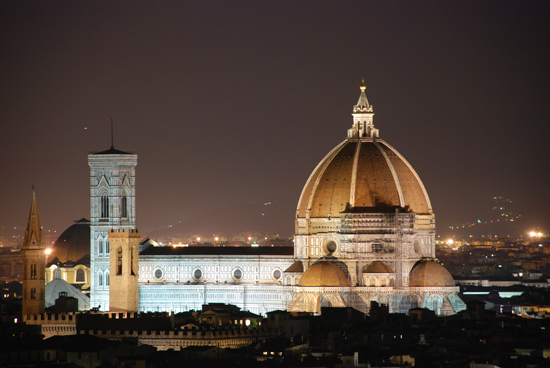 Santa Maria del Fiore, the Cathedral of Florence, is built as a basilica, having a wide central nave of four square bays, with an aisle on either side. The chancel and transepts are of an identical polygonal plan, separated by two smaller polygonal chapels. The whole plan forms a Latin cross. The nave and aisles are separated by wide pointed Gothic arches resting on composite piers. The dimensions of the building are enormous: 502 feet long, 124 feet wide, and 295 feet at the crossing. The height of the arches in the aisles is an amazing 75 feet, and the height from pavement to the opening of the lantern in the dome is also 295 tall. I have been in this cathedral several times and I am always amazed at the proportions of the dome and the building. There are all sorts of ingenious engineering feats that went into building a dome this large, far too many to cover here. The thing that I do recall most fondly about these stories is that Filippo Brunelleschi, one of the most renown architects and engineers from the Italian Renaissance, didn’t produce complete documents on how to actually build his design so that he could maintain control over the builders during construction. 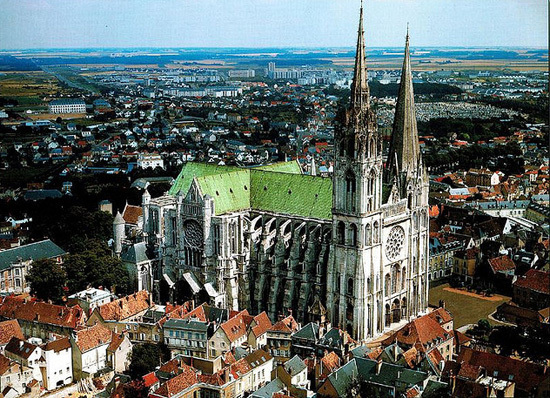 What makes the Chartres Cathedral special from an art historical viewpoint is its exceptional state of preservation. The majority of the original stained glass windows survive intact, while the architecture has seen only minor changes since the early 13th century. 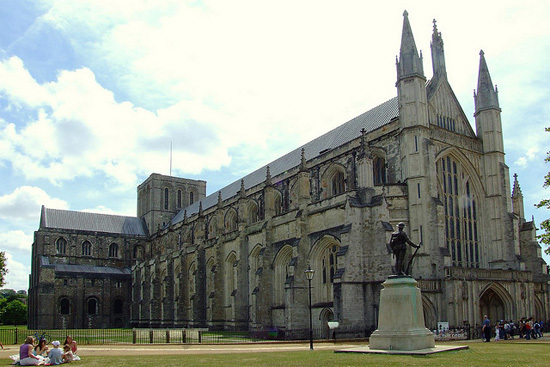 The building’s exterior is dominated by heavy flying buttresses which allowed the architects to increase the window size significantly, while the west end is dominated by two contrasting spires — one, a 349 foot plain pyramid dating from the 1140s, and the other a 377 foot tall early 16th century spire on top of an older tower. Equally notable are the three great facades, each adorned with hundreds of sculpted figures illustrating key theological themes and narratives. The Chartres Cathedral is considered one of the finest examples of the French High Gothic style. 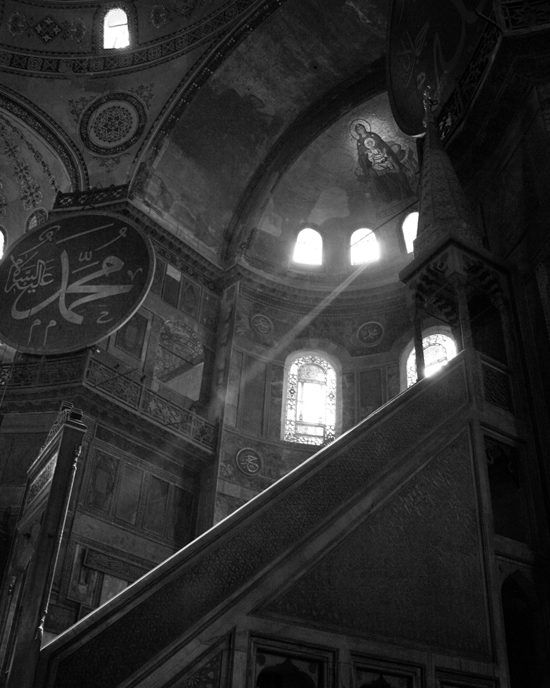 Hagia Sophia is a former Orthodox patriarchal basilica, later a mosque, and now a museum in Istanbul, Turkey and is one of the greatest surviving examples of Byzantine architecture. There is an incredibly long and complex history associated with the cathedral but of particular note is the size of the building itself and the complex structure of the vast interior. The nave is covered by a central dome 182′-5″ from floor level, supported in part by an arcade of 40 arched windows. Repairs to the structure have left the dome somewhat elliptical – with the diameter varying between 102′-6″ and 101′-3″. That is really, really big – particularly so when you think that the walls holding up that dome have more mortar in them than masonry. In fact, I think this was the largest cathedral in the world until The Cathedral of Saint Mary of the See (Seville Cathedral) was built some 1,000 years later. I don’t really know anything about this cathedral other than I remember it from my college days. 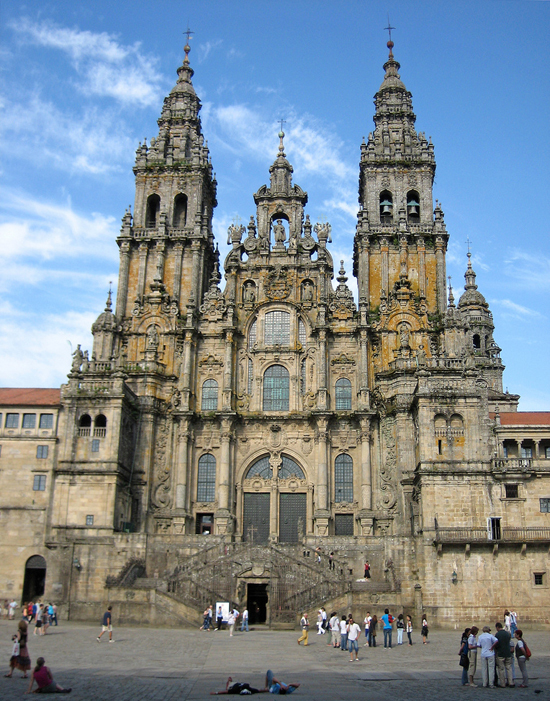 It is a mixture of Romanesque, Baroque, and Gothic and was built between 1075 and 1211. If you are a religious person, the cathedral is significant and has been part of a major historical pilgrimage route since the Middle Ages because it is the reputed burial-place of Saint James the Greater, one of the apostles of Jesus Christ. The cathedral is impressive in size as well – measuring 318 feet long and 72 feet high. The interior preserves its original barrel-vaulted cruciform Romanesque style layout – meaning it consists of a nave, two lateral aisles, a wide transept and a choir with radiating chapels. Compared with many other important churches, the interior of this cathedral gives the first impression of austerity until one enters further and sees the magnificent organ and the exuberance of the choir. This cathedral, through its monumental dimensions, is the largest Romanesque church in Spain and even one of the largest in Europe. Winchester Cathedral at Winchester in Hampshire is one of the largest cathedrals in England, with the longest nave and overall length of any Gothic cathedral in Europe. This is another cathedral that I don’t know anything about – other than Jane Austen is buried here in the North aisle of the nave and the gravestone marker doesn’t list her as an author since most of her work was published after she died. Makes me wonder how she got there in the first place. I really wanted to include a cathedral in England on this list and since I’ve actually been to Saint Paul’s church in London, I’m thinking I should have gone with that obvious selection. 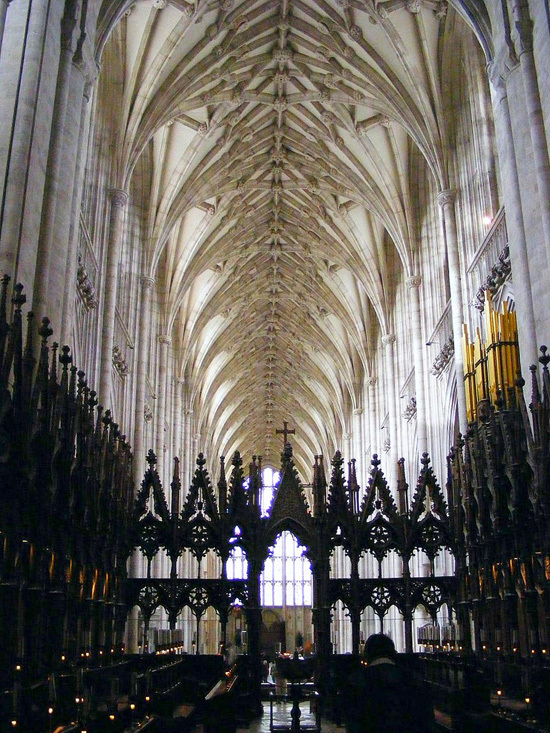 I think Winchester is a beautiful example of Gothic Architecture – maybe someone who has been there can stand up for this building. Based on the image below, the interior really does look spectacular. 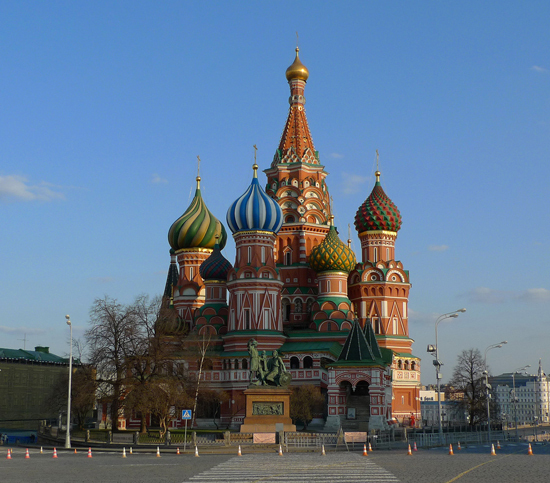 Saint Basil’s Cathedral is a Russian Orthodox church erected on the Red Square in Moscow in 1555–1561. The most interesting piece of information regarding this cathedral is that the building’s design, shaped as a flame of a bonfire rising into the sky, has no analogues in Russian architecture. What?! That’s right. There is no documented precedent for this style of architecture in Russia. 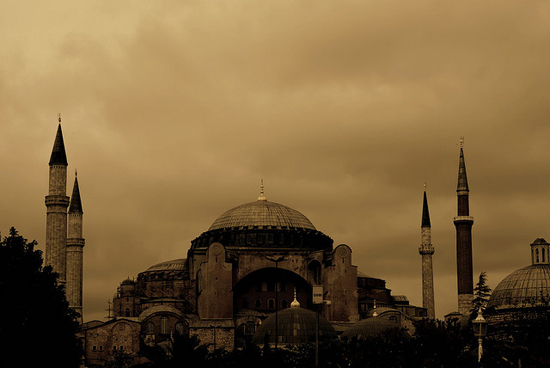 Other than that, you know that this cathedral had to be on the list – it had to! I’m sure that many of the people who might accidentally read this post – regardless of where they came from – have seen this building before. I would also venture a guess that not one person in a hundred (Russian’s excluded) could have told me the name. A mega-bonus up points if you knew the real name – The Cathedral of the Protection of Most Holy Theotokos on the Moat – and not just Saint Basil’s. Don’t lie – you didn’t know it. 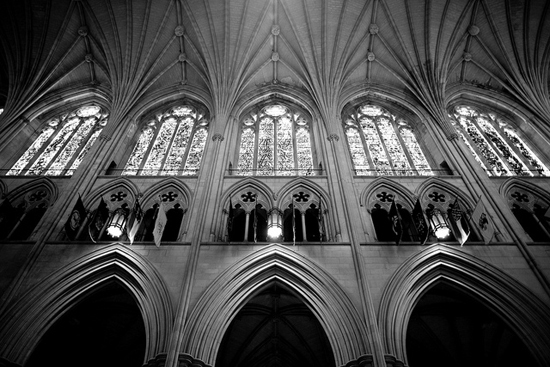 Of neogothic design, it is the sixth largest cathedral in the world and the second largest in the United States. 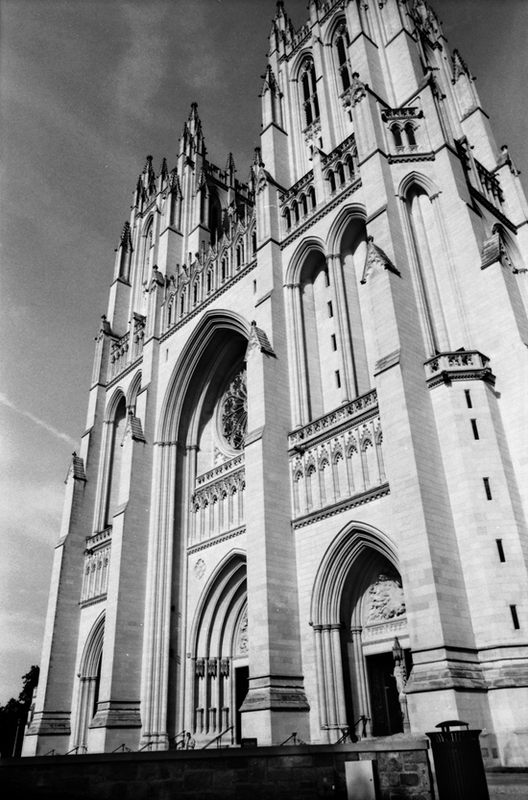 Unlike most of the cathedrals on this list, the Washington National Cathedral was built with many intentional “flaws” in keeping with an apocryphal medieval custom that sought to illustrate that only God can be perfect – most of these flaws are in the form of asymmetries. I did a little “research” and read up on this cathedral on wikipedia and found out that there is a sculpture of Darth Vader placed up high in the northwest tower – the result of a competition for children to design decorative sculptures. Really? … Does anybody in DC want to send me a picture of that? If I get one, I’ll add it in here for everybody else to see. So, that’s my inaugural list of cathedrals, I tried to spread things out a little so cathedrals here weren’t all in France or Italy. As I said, there are amazing architectural cathedrals all over the world, probably 100x more that I don’t know about than the ones I do. I’m also sure that I will hear from someone about the over-representation of Romanesque and Gothic style buildings. Oh well, what can I say? These are the ones that came to mind – feel free to list some of your favorites in the comment section.